Beautiful and as much fun as they can be, Canadian winters inevitably bring with them some headaches. It’s not just problems with our cars, heating and driveways though. Certain legal issues are also more likely to crop up in the long winters that we have to endure. Katherine Ferrante, ARAG’s Vice President of Sales & Business Development, explains some of the more common winter hazards that businesses should plan to avoid. In her most recent article, our CEO Jo-Anne MacDonald wrote about some of the legal pitfalls that can accompany office Christmas parties. However, winter legal problems for businesses don’t disappear once the party is over and the last employee is tucked safely in their bed. The rules around work attendance in bad weather prompt a fair few legal advice queries at this time of the year, from both employers and employees alike. Inevitably, there will be snow days when some staff simply cannot get to their place of work, but there will also, occasionally, be a member of the team who is willing to take advantage of weather reports and a light flurry to stay dry at home. Employees are sometimes surprised to learn that their employers don’t have to pay them for the time they take off in such circumstances and don’t have to accept last-minute holiday requests either. A supervisor might even ask a member of staff to produce some sort of evidence that their journey to work was made impossible by the weather. For their part, businesses need to be reasonable in their expectations and consistent in how rules are applied. The same is true of sickness absence, which inevitably spikes at this time of year. The rules around sick days are notoriously complex not least because they vary widely from province to province, but employers need to apply them very carefully and consistently to avoid risking a lawsuit under workers’ compensation or even human rights legislation. Obviously, every individual case is different and a worker’s role, location, employment record and various other factors should always be taken into account, so it is always best for employers to seek legal advice before taking disciplinary action against an employee. It’s not just staff transportation issues that can create headaches at this time of year. 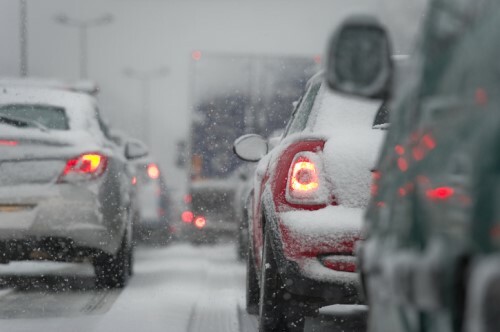 Even if a company doesn’t have any employees at all, winter weather can trigger legal issues. Delayed deliveries can result in disputes over the terms of a contract and a third party’s negligence could cause damage to the company property or even injury to a member of staff. Take, for example, the delivery truck that skids on some ice and runs into part of the business premises, rendering it unsafe and shutting down operations for several days. The auto claim for the damage should be straightforward enough, but seeking compensation for other losses to the business, such as missed production and cancelled orders, is going to be much more complex and calls for specialist advice. Fortunately, legal expense insurance offers an affordable means for businesses of all shapes and sizes to protect themselves against potential problems like these and many others, meaning that our policyholders can enjoy the winter without having to worry too much about the potential legal risks. Katherine Ferrante is Vice President, Sales & Business Development at ARAG Services Corporation. Contact her at Katherine.Ferrante@arag.ca.